In very welcome news, the Canadian federal prison service plans to introduce needle exchange programs in two prisons in June this year. More NSPs in other prisons will follow. This initiative will give federal Canadian prisoners access to sterile needles in an effort to limit the transmission of infectious diseases such as hepatitis C and HIV. The move, however, is opposed by the union representing prison guards. The Canadian HIV/AIDS Legal Network has long argued for needle-exchange programs in Canadian prisons, and applauded the planned program as a sign the federal government “recognises the solid and mounting international evidence” about the effectiveness of needle programs in preventing needless infections. 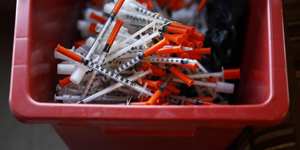 This news from Canada comes at a time when moves to introduce Prison Needle Exchange here in Australia continue to be blocked. In an article in the Canberra Times, ACT’s Alcohol, Tobacco and Other Drug Association (ATODA) said the ACT Government was failing in its duty of care towards prisoners. ATODA points to the lack of equivalence of healthcare services available to Canberra’s prison population in the Alexander Maconochie Centre and that available to the broader ACT population. 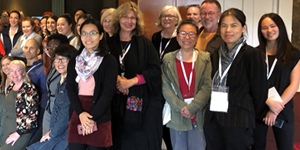 Earlier this month, the Hepatitis NSW Hep B Team attended the Hepatitis B National Symposium in Melbourne, organised by Hepatitis Australia and attended by the Australian state and territory hepatitis organisations. The Symposium was a great opportunity for us to share our experiences, strategies and approaches in working on hep B community education over the past two years. We discussed the challenges that we faced, which included barriers in knowledge sharing, and the differences in participant’s knowledge retention between small and large group education sessions. Of course, we also talked about successes! These included the great reach that everyone achieved with their projects, as well as long-term partner relationships built with community based organisations and other important stakeholders. The Hepatitis B Community Education Projects were administered by Hepatitis Australia and funded from the Australian Government, Department of Health, under the Blood Borne Viruses and Sexually Transmissible Infections Prevention Program. Although the funding ceases in June 2018, the Symposium ended on a positive note, with some plans to maintain a Network of Hepatitis B Educators in the future, and to build on and further share the knowledge gained by our organisations and our key partners. Needless to say, all organisations remain dedicated towards improving hep B awareness in priority populations communities, so keep an eye out for further updates in this sphere!